Santa Clara City Councilman and candidate for the county District 4 supervisor seat Dominic Caserta has resigned from his position and withdrawn his bid for supervisor amid sexual harassment allegations. Caserta issued a statement Tuesday morning saying in part that the release of his personnel file by the Santa Clara Unified School District, with whom he is employed as a high school teacher, caused "irreparable harm" to him and his family. He said that harm has stripped him of the ability to effectively serve his constituents, so he has resigned his seat on the Santa Clara City Council "against every instinct in my body." "It has been my honor and privilege to serve," he wrote. 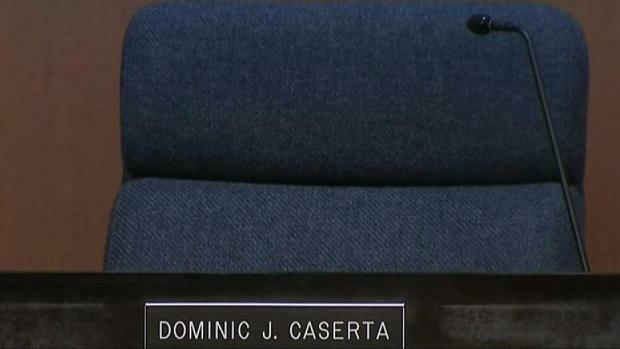 Santa Clara City Councilman and candidate for the county District 4 supervisor seat Dominic Caserta has resigned from his position and withdrawn his bid for supervisor amid sexual harassment allegations. Robert Handa reports. 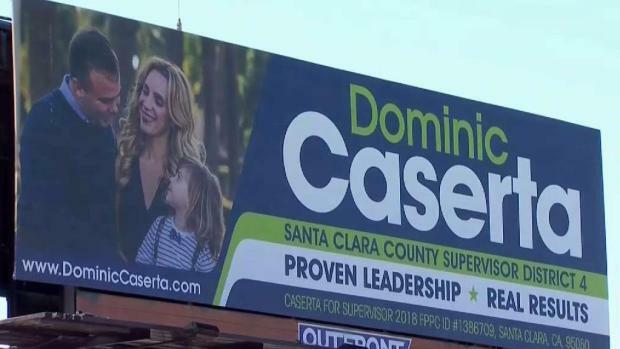 Caserta said that while he was a front-runner for the Santa Clara County Board of Supervisors seat, he can no longer effectively talk about issues he is campaigning for, meaning he will no longer campaign at all. Caserta continued to deny all allegations that he may have harassed or acted inappropriately in the presence of previous campaign staff or female underage students at Santa Clara High School. Lydia Jungkind, a political science student of Caserta's at Foothill College and his former campaign supervisor volunteer, who accused Caserta of sexual harassment said she is "relieved by the resignation but appalled he casts himself as the victim of witch hunt." "I hope police investigations continue and he faces criminal charges," Jungkind told NBC Bay Area. Santa Clara Mayor Lisa Gillmor reported Monday at a news conference at City Hall that nine police reports had been filed against Caserta since the city sent out a notice asking for those who had been victims of Caserta's alleged actions to come forward. "I must now work to preserve my family, livelihood and health," Caserta said in his statement. "In the next few months, the allegations against me will be put to the test and my name will be cleared." Nine police reports have been filed against Santa Clara High School teacher and City Councilman Dominic Caserta, according to Mayor Lisa Gillmor. Robert Handa reports. Last Tuesday, Caserta issued a news release on his campaign website for the District 4 supervisor seat denying all allegations and stating that portions of his personnel file from the Santa Clara Unified School District had been released to everyone in the district without his knowledge or consent. In that file, details on previous allegations and mistakes such as sending home an Advanced Placement test that disqualified his students from the rewards of good testing were included. Caserta said in his statement that the allegations were investigated by the school district and that he was exonerated. "Rehashing things that occurred 12 to 16 years ago is a waste of time," the councilman stated. Santa Clara Unified School District assistant superintendent Andrew Lucia said that due to the confidentiality of the report, he could only confirm that a personnel file was leaked and not whom the file pertained to.